Did Anet just endorse GvG? We aren't specifically. While, we're not planning to have a GvG queue, I'm hoping once we get an appropriate map for 10v10 or 15v15 into custom arenas, we'll be able to have an occasional GvG special tournament. But it takes a while to get maps made and I want to get Swiss style tournaments in first. Also, 15v15 may need some UI adjustments. Even then, I expect a lot of people will be unhappy, as a large segment of those who want GvG want the WvW rule set. Currently, custom arenas and tournaments are only sPvP ruleset. This is something we are looking into and not something that has a set release date at all. Ben is still looking into the feasibility of this kind of change so I'd stop throwing coal in the hype train for now. The WvW team is also looking into a better option for GvG fights but we are in the preliminary stages of the investigation just like the PvP team. I just want you guys to temper your excitement until we know more about these ideas. The phrase "Shut the stable door after the horse has bolted" springs to mind. The gw2 gvg will feel dammn strange... gw2 classes dont need tthat much team work, besides leech from condi and boon stacking... and there way to much aoe and cleaves as well, if most of 5vs5 already look a mess of skills being spammed..
@Raymond Lukes.6305Raymond Lukes.6305, port/fork Gw1 classes with their skills ...into gw2 xD.. and call them the coluseum classes. Current gw2 weapon skill's and utilities are not tuned nor that good for that gamemode.. This is exactly what I thought when I read the title. All the GvG players are gone, and very unlikely to come back. +1 For the Anet answer .. +1 for it was real fast .. +1 for it is by far not as vague as answeres used to be +1 because i can and want to do so ! Ben is still looking into the feasibility of this kind of change so I'd stop throwing coal in the hype train for now. You should have more faith in Ben. I still wanted to see the data behind this claim...alas. Coal for me this wintersday! You see though how many people are actully getting exited to something like this? it was even more 5 years ago. This would be the best opportunity to make the competitive side of wvw shiny again. Not all, but it's definitely on it's last leg. An easy solution to solving the WvW GvG scene issue, is to allow the the arena to have the rulesets of WvW and for your next iterations of Guild Hall designs, base the ideal environment of the Arena on the WvW game mode. Increase the size for one. Design it in away to make all angles easily view able. For people viewing inside the area, make the teams appear with a (RGB) shader so that spectators can identify the difference in teams. I would come back for GvG, if it's not a half done feature. Be aware that the spvp option will be using the spvp ruleset ie not WvW gear. For that reason alone its almost certainly a non starter. Well, the last time they fully supported it, was with the OS arena back in 2013, which was a long time ago. The Guild arenas are and still too small, also they have the same issues as they had after HoT. (PVE damage multipliers and problems inviting other guilds). They should just put the OS Arena on the megaserver, if they want to support it, but their priorities are obviously different after PoF. HoT was a good opportunity to bring everyone back, but balance changes and the new borderlands, were also a issue. Is nobody else here blown by the fact that a wvw thread got an Anet response in 5 minutes? Entire server/matchup threads come and go without being closed these days. Anywho, it'd be neat to have the guild put back in Guild Wars 2. I hope these updates extend to the wvw rules set. Well, truth be told it was actually a donkey with a lot of ambition. So 4 years late Anet finally starts to investigate and maybe in 1 year from now there might be something. Yeah. Calming down might be the right Thing to do now. The sPvP one would be using sPvP ruleset and gear, also there is a chance it would be the old GW1 GvG and not the GvG GW2 wants. yeah, it's almost like practicing for PvP tournament in open world PvE, unless they make all of WvW follow PvP rules. Yes. Workload wise, it is probably easier to start there. Maybe (yeah maybe I'm delusional too) they will watch the use of it, see if there is a significant enough audience for it, before maybe they expand the options with a larger guild hall arena space (not like the guild halls don't have volumes of space to use) or making OS instance based. If they allow inter and intra server GvG, and allow people from multiple servers to work together (as many guilds have been split across servers) it would be a start. Can you please have a queue and leader-board option or at least leave it on the open table for discussion? Organizing GvG's is usually the most difficult part of GvG; in that players schedules don't always pony up and at least a queue system would allow a guild who's looking to queue that day a chance to at least fight something, even if its 10-15 randoms who queued in to GvG. I remember GvG'ing against bots in GW1 and 8vG in HA & HoH. Even if the matches were a little lop-sided at least we were still able to participate in that 8v8 or that GvG. Also, I'm an advocate for the sPvP rules for GvG > WvW rules because it's a lot more balanced and guilds won't be required to constantly spend hundreds of gold when metas shift and it also allows guilds to hot-swap builds to counter. i know ive been there and in both games, i dont fully agree with your"it's just fine" , cause isnt has skillfull has anything in gw1... gvg mainly.. and gw2 design does not hep with that as well. And u guys ended stacking and spamming against each other no matter what... that.. it just dumb.. to called GvG, moust of the stackers dont even know how skillfull GvG from gw1 was.,..if not all. If they do anything and call it GvG, it feels like it will be like conquest but with a larger team... and with that theres an issue, all it will be needed will be stack aoe n rush, due aoe and spam gw2 classes ared developed for the pve eviroment. Classes need to be tweaked for better combat on pvp before it... And the actually combat feels more balanced towards 3 vs 3 than the 5, wich is already a mess of combat and ugly to observe, if they had more to the equation.... will easilly be broken. Anet needs to reformat skill and class design arround PVP only and tune the pve arround PVP, what they are doing is the oposite.. I would actually prefer this - provided there would also be a custom arena available for practicing. Well I suppose if it's to become a tournament in sPvP, they will add a PvP map for this tournament to be played on. Which might then be available as custom arena map as well. Again this is all still in the planning stages but I'll clarify some things. There is no current plan to give this a queue or a leader-board. What we're currently looking into custom arena map that would allow for 15v15 team death match. The thought was to give players an easier place to organize GvG fights. This 15v15 mode would use the sPvP rules and skill splits. Doing this would open the opportunity to do special tournament if the popularity was enough to support a full tournament. So every time a group loses they changes there guild? It would be like the old days of gvg that players made. I am thinking leader-boards would be too much to ask from Anet due to how complicated it would be. Best to let the players run things like that and have anet give the players base spaces to do so in an "official" way. Does this include coal from Wintersday? Just out of curiosity, why isn't the guild hall arena being updated to properly cater for GvGers needs (Size, maps closing, getting rid off pve retal and confusin values)? From an armchair developers point of view it would be easier to tweak few things there rather than making a completely new game mode, maps and UI for sPvP? I am really sorry to the stance of Anet about leaderboard, Mr. Lukes. In my opinion, the true blooded wvw player is not a hamster by heart who likes to run in circles. Realm vs Realm or in this case world vs world always has that conquest mode deeply ingrained, the will to rule over an empire or just your own personal castle where you can let your proud gaze flow over the land you gained with your own sword. If nobody ever learns about these conquests and heroics, they are ultimately pointless and not desirable. At least for me. I am not saying that a leaderboard is the only way to achieve something like that, but it would have been a first step in the right direction. Think about how stupid the Artus saga for example would be without the Knights of the round table and the common knights of Artur who unite under the flag of Camelot. How can you feel heroic when nobody chronicles your heroic deeds? It would just be some guys in shiny armor battling a group of other guys in shiny armor. Contrary to raids you can´t buy your way into a higher wvw rank and so your fame lives on if it is somewhere recorded. The forefather game of the type of game that wvwvw is managed to do that or at least empored people to show how guilds had fared in the rvrvr war. i am pretty positive that you could do the same. To not be a negative Nancy only, I actually welcome your idea to make room for the GvG scene. It would on one hand open spaces in the regular wvw, it could actually make some space on servers and help the server balance and it would separate those who see wvw more as a sport then a mode of conquest from the rest of the players. Sounds like you guys are really limited by management. A queue system for squads would surely be possible? It's going to be complicated to organize anything when people are not joining the match together. Have u guys have determined the objectives? Would it be similiar to Spvp stronghold mode, with more lanes? If so, wasnt the aoe spammy gameplay that borked up the gamemode ??? Arent 30 total players way to much for some skilled gameplay, doesnt that just force to powercreep race to lords??? or to final objective??? IMO one of the issues that is working like a barrier for your guys at ANet is the how u guys managed to make this game so spam based on cleaves and aoe's, everythign will get easilly borked up due that gameplay. Death match. Fight until a side is eliminated. No lords, likely no cap points. Just fights. Spammy or not. Doesn't matter. If it's too spammy for you don't try it. That sounds like pvp for idiots who cant actually pvp... so they stack n spam for ego boast. Gw2 doesnt even feel an actually a sucessor for that game, just some rip off for pver'rs. Yes, I though Heart of Thorns WvW Guild upgrades would herald more content along similar lines. I'm a complete imbecile for my optimism - they've never iterated on content, it's always been about implementing more and more new systems instead of adding content for existing systems. This is old ground, too - it's sad to see myself typing the same thing that I was typing on the old forum, but I guess it needs mentioning on this one at least once. That wouldn’t be gvg then. There’s a general ruleset... plus if in your hall, I imagine the option to punt would be available. I agree with Frou tho. Just expanding the existing area and let the players sandbox/self organize within existing wvw rule sets would likely be more than enough. So what I'm hearing is right now we have the ability to organize unofficial gvgs in guild halls using the pve rules/skills set, and this new option will open up the ability to organize gvgs in this new arena or w/e using pvp rules/skills set. 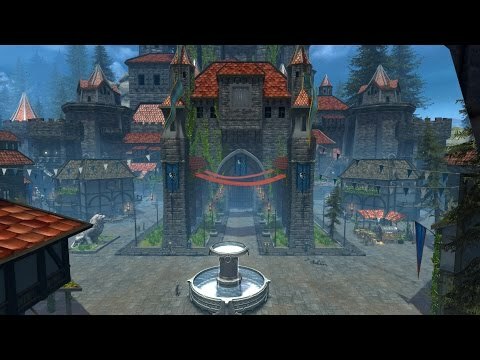 Could we, perhaps, switch the guild hall over to wvw rules & skills? Pls NO! The Pvp Gear is all, but not Balanced.. u didnt have the same Gear as the WvW Gear, we dont have all Runes, Sigils as well. We need in these Arena our Equip, not only Meta based stuff, thats not what the Guilds need. Thats one Example from my Build. Because wvw is balanced? Mady my day. GvG is the same cheesy play and meta like in spvp. Nothing will change. I wanted to suggest the following QoL update for the guild hall arenas. This comes from a discussion I’ve had with the WvW community in particular, but this QoL applies to the three separate game modes. Each game mode has it’s respective combat and skill rules. My QoL requisition in it’s simplest form would be to have an NPC that can set the rules for the Arena, which means that if the players choose PvE rules, PvE rules will apply, if they select PvP rules, PvP rules will apply and if they select WvW rules, WvW rules will apply. PvP players can rally 1-5 team members in down state contingent on finishing an enemy team downed player. In PvP, Stealth breaks target. WvW players can rally 1 team member in down state contingent on finishing an enemy team downed player. In WvW, Stealth breaks target and squad markers. In PvE, stealth breaks target. In PvE, certain performance enhancing boosters buff player damage, reduce damage taken, etc. I know I hate to say this, but Spvp was right to nerf energy sigil. It's too good for most of WvW. You literally can't be wrong by picking it. GvG's have consistently been 15's or 20's. So after five years, you're going with a half baked option and 'hope' enough players will think it's good enough? No queue= FAIL. Guilds want to be able to join when they can and have opponents to fight. Go back and look at the early days of Guild Wars for how that works and how keen guilds were to progress on the leaderboard. No leaderboard? Really? Then what is the point? What are you trying to develop? A tiny sandbox that you can throw 15v15 in and call it 'gvg'? Must be all of a day's work in that. Any proper gvg map needs some objectives, paths and splits so that tactics win matches along with superior skill. No titles/capes/etc for winning guilds? Again, look at the early Guild Wars model. If you're going with spvp rules and skill splits, then you need to have a practice area where guilds can practise against other squad splits (from the same guild), as most will not be that familiar with spvp sets and rules- and those sets severely restrict builds so a lot of guilds will just say 'no thanks', as it's a lot of bother for no leaderboard or queue system. I'd prefer starting off with wvw rules and sets and then altering skills for 'gvg only'. How will matches be organised? Unless you have some form of in game matchmaking, do you seriously expect the mode to gain any traction? Take a good, long, hard look at what made Guild Wars Guild battles so popular in the beginning of that game and then make a decent attempt at replicating that for GW2 (given the completely different boons, etc..). Don't make a half baked version, you will just get laughed at. Players and guilds will only return if it is worth fighting for. @Baldrick.8967, as no queue i imagine Anet wanting experimental, to tune up the game mode itself first ?? it needs objectives.. it is mandatory to put players at prove within certain roles towards those objectives aka teamplay(tactics, and "voice teamwork."). No groups full of broken gimmicks vs gimmicks to stack and get carried trough the gameplay (on gw1 no matter what metas they would run, players skill was a major part in it). It needs a ladder and queue as much experimental those would be initially. ./peace & R.I.P. GuildWars series 2003-20012.
nice to hear. a couple years too late though. they can add a similar thing for gvgs. upto 10v10 or 15v15 automated or something.